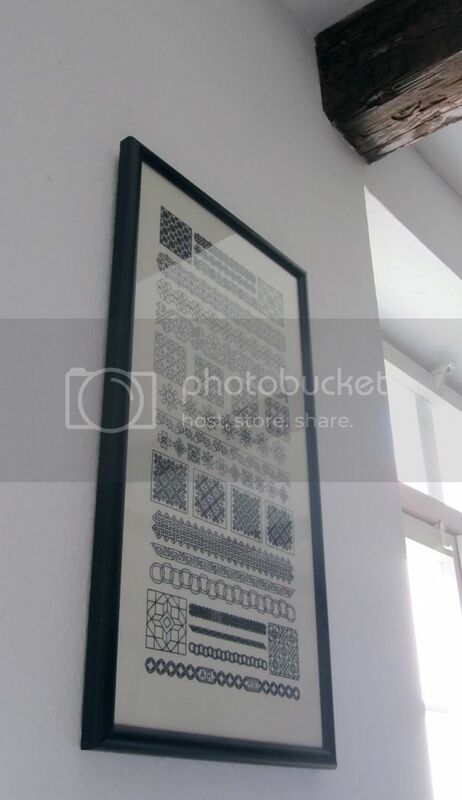 One of my favourite finishes of all time has to be this Blackwork Sampler. I wanted to learn how to do blackwork and so did 2 of my friends, and this was the perfect project for it, lots of different motifs to try out. We decided to do it as a SAL. Each of us picked different fabrics and threads and got to work. Being the traditional girl that I am, I decided to stitch mine all in black, except for a touch of metallic in the middle to break down all the black. As it turns out the sampler is quite large for a first time piece but it was well worth the effort.